NEW online shop open now! 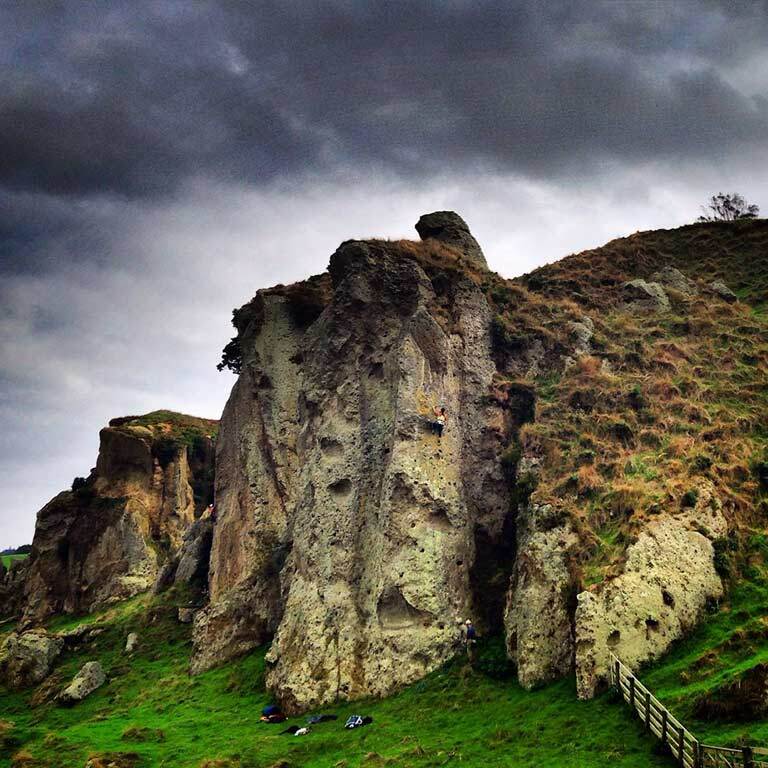 Just two hours south of Auckland is New Zealand’s rock climbing mecca, with over 2500 routes of all grades within an hour’s drive of Bryce’s at Wharepapa South, 800 of these routes are within walking distance of Bryce’s. Whether you’re looking for something to get the sinews straining and the muscles pumping or a gentle introduction to climbing, there’s plenty to choose from. There’s great accommodation and arguably the best climbing shop in the country — all backed with knowledgeable advice and years of climbing experience from the team at Bryce’s. Climber on The Cat Sat On The Mat, Sheridan Hills. Photo by Marty Blumen.